Capybara's new dungeon-delving adventure, Below, places a lot of confidence in its players. Aside from a few basic control prompts up front, the beloved indie studio offers almost zero explicit instructions. There's a fundamental faith that players will be inquisitive enough to glean all the details they need from visual cues woven into lavish world design and a super clean, super minimalist user interface. Early on, I found this approach totally engrossing. I love it when a game trusts me to figure things out on my own and, crucially, provides me with reasonable clues to help make those connections possible. Below is brimming with a-ha moments as you teach yourself how not to starve, how dungeon floors can (and can't) change from one permadeath run to the next, and what to do when everything goes to hell and you need to extract your gear from an inhospitable area that won't ever seem to end. In retrospect, it's a fairly simple game -- you only need to keep descending, one floor at a time, until you reach the mysterious bottom -- but the real trick is endurance. Below doesn't demand fast reflexes or a particularly quick wit, but it does require grit. One small slip-up can have devastating repercussions. If you have a low tolerance for tedium in video games, you're probably going to want to bail. It pains me to put it so bluntly. As I covered in my review in progress, the first several hours of Below will be audio-visual bliss for anyone who cherishes a sense of genuine discovery. 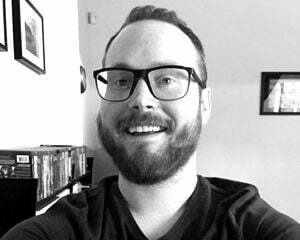 In a year with some truly beautiful games, Capybara's tilt-shift art direction stands out, and composer Jim Guthrie is as on-point with palpably atmospheric tracks as I'd expect after his work on Superbrothers: Sword & Sworcery EP. It's not just the killer aesthetic that sets a promising tone. 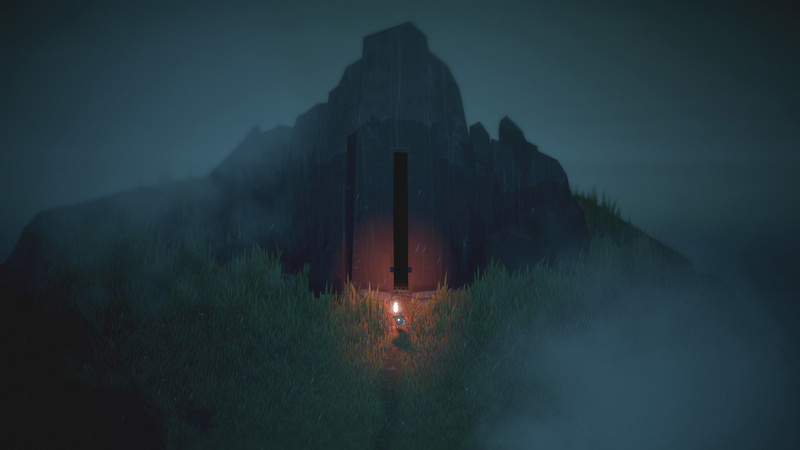 Below's light action-adventuring is much more enjoyable in the opening hours when its survival and roguelike elements don't feel so prickly. Say, for example, you run low on food. You might feel pressure to move a bit less methodically than you otherwise would in hopes of finding stray mice or plants you can chop up and nibble on. The shadowy monsters who roam Below's early levels only take a swipe or two at most. They aren't much of a threat, even in large groups. You're far more likely to walk into a stray spike trap or make some other critical error in the stifling darkness. If and when that happens, a new adventurer with none of your gear will appear on the island's surface for another attempt. You'll need to navigate back to your former body to find and reclaim the all-important lantern, an item that's mandatory for progression. The underground rooms will seem familiar but slightly fresh due to procedural generation, so there's added guesswork, and you won't have health or food reserves on-hand unless you make it a point to stock up. During the first half of the game, this is a setback, to be sure, but you can recover without taking a huge blow to your motivation to continue. You'll likely have a few shortcuts opened up by then and a basic grasp on the different layouts each specific floor and biome can take. It's tricky to see without the lantern's guiding light, but it's doable as long as you prepare appropriately and play cautiously. Later on, once you reach a brutal set of one-way floors with a looming presence following your every step, death can be utterly disastrous. Below morphs from repetitive to outright punitive. With a well-stocked hero, the situation is tense. With a new recruit who has to survive long enough to nab his predecessor's lantern and then keep going until he finds an escape route, it's hellish. I left off my review in progress venting these frustrations and wondering if the struggle could possibly be worth it. Nine more hours later, I've not only made it through the gauntlet, but I've since run back through the entire span of the game multiple times to locate the last few collectibles I had missed. 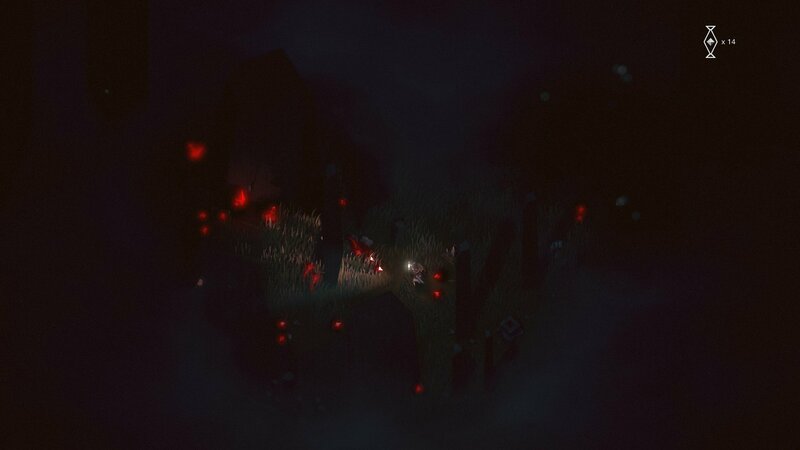 Below's ending was about what I expected: gorgeous to look at and packed with more questions than answers.